BEDFORD, NH, Jan. 29, 2019 / — For more than 25 years, INTEGRIM has assisted Canadian businesses with Electronic Content Management (ECM) and Process Automation. 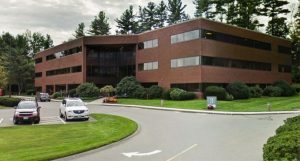 During a recent official ceremony with the New Hampshire and Massachusetts business community and Government representatives, INTEGRIM has announced the opening of its US company and its new headquarters in the Manchester Area, NH. INTEGRIM is now positioned as an important paperless document automation partner in the US Market. “Our company, created in 1992, has kept a focus on building the foundations for solutions whose goals are to bridge the gap between unstructured content and corporate transactional content, thus our name, INTEGRIM, which stands for INTEGRation and IMaging. We chose Manchester for our US headquarters due to this community’s great location and the unparalleled support we received from the local stakeholders we met during our selection process. We’re beyond proud to be part of this great community today. In New Hampshire, we have found a dynamic and vibrant professional environment along with many friends, as well as a fantastic place to live and get involved ” said André Denis, President & Founder, INTEGRIM. INTEGRIM footprints in the United States will enable the company to serve a market that is ripe for Process Automation solutions nationwide. It was essential for INTEGRIM to ensure that their US clients get access to the experienced resources and solutions that has made their success in Canada over the last 25 years, enhancing administrative operations and business document processes. 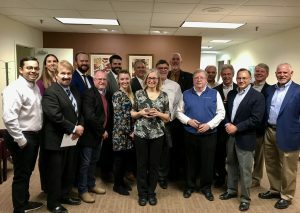 “Among those we want to recognize for their support, we would like to specifically thank Michael Bergeron and Benoit Lamontagne (NH Department of Business and Economic Affairs), Yann Lamarche (Quebec Government Office in Boston), Mike Skelton and Heather Avella (Greater Manchester Chamber of Commerce). We really appreciate the hard work, guidance and support you provided in helping us get established in our new office,” said Ben Rioux, US General Manager, INTEGRIM. Daniel Desgagné, COO, INTEGRIM said “It is our hope that through this process we are also able to help you seize the emotion that has driven us to come, live and grow with you. The US expansion is extremely strategic for our organization. We are here to stay, and in order to do so, we must make sure that we make a difference and earn our place in this incredible market. To achieve this we pledge to bring you our best practices, solutions and professionalism to make a tangible positive impact on the way businesses work”. For more information or to get in contact with INTEGRIM team, contact marketing@integrim.com. Since 1992, INTEGRIM has supported businesses and organizations with the digital processing and management of corporate documents by connecting data and images through the use of various financial and other computer-based systems. We help your operation achieve the highest level of efficiency through automation best practices, then trim costs and eliminate paper while enhancing the productivity of your administrative resources. Our integrated platform SenSaaS! help you enhance productivity and efficiency by simplifying and automating business processes.